It’s been 40 years since LifeStation began its quest to provide seniors with not only the best Medical Alert System, but the best in Customer Care as well. While technology has changed greatly since 1977, the guiding principle of Customer Care still drives LifeStation today. The result: thousands of happy customers secured with LifeStation. We asked LifeStation to share with our visitors some of the knowledge acquired during this time. Q1: How does LifeStation balance technology with usability? In many product and service categories, companies scoop up the latest technologies and place them in their products – smartphones being the most obvious example – but Medical Alert Systems are a bit different. Am I correct? A: Correct. You have to be very careful with jumping on board with the latest technology without having an understanding of how it will, in a practical sense, benefit the end user. However, it’s important to be up-to-date with the latest tech gadgets out on the market. If there’s something out there that gives a better experience and doesn’t overcomplicate things from a user’s perspective, we’re happy to look further into it. Follow-up question: How does LifeStation manage this balance – how do you come to those type of decisions? A: Does this new technology have a practical benefit to the customer? And is it something that the customer wants? If the answer is yes to both of those things, then it warrants further research. And of course, we only offer devices that our team has vigorously tested and would trust their own family in using. Q2: When we tested and reviewed LifeStation, your Customer Care was something that really stood out – no machines or complicated menus to reach an actual person – what was the thinking behind that and how has the response been? A: As customers ourselves, we find it pretty frustrating being stuck in an IVR maze responding to endless prompts. Companies claim this makes things more efficient, but efficient for whom? Certainly not the customer. Our customers value simplicity and that’s what drives our customer experience. We train all of Customer Care specialists to be a one-stop shop and to be able to handle every question or concern a customer may have. There are no endless prompts or multi-department transfers here. Q3: When we test and review medical alert systems, we put a lot of weight into the quality of the call center. It seems like a simple premise, a button is pushed and help is available, but there’s a lot more to it than that isn’t there? What kind of training do your reps go through? A: To our users the process is simple; they press their button and within moments we’re getting them the help they need. For us and our Emergency Responders, there is a bit more to it than that. It all starts with our extensive training process. All reps must complete four weeks of classroom training and examinations before being able to work alongside one of our more experienced reps, observing them and gaining real call experience for another two weeks before taking calls themselves. All of our training is completed under the guidance of CSAA Certified Instructors, who hold the highest standards for monitoring in the industry. Q4: We have our criteria for selecting the right Medical Alert System in our Buyer’s Guide, what are the key items you’d advise people to look for when shopping the perfect system? A: Well, I hope I don’t sound like a broken record but again, I would say simplicity. That includes simplicity in everything from the research and buying stage, to setting up your equipment, and to actually using the device. These situations can be hard enough; it’s our goal to make it easier. Lastly, I would advise people who are shopping around to look for a company that’s transparent. 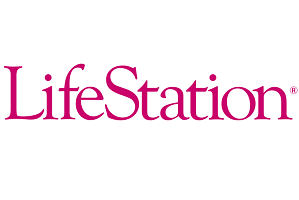 Here at LifeStation, we don’t surprise our customers with extra costs or hidden fees and we encourage our users to review us and share the experiences they’ve had with us, both online and amongst their friends and family. Q5: Final question, where do you see the Medical Alert industry being five years from now? We see our industry continuing to grow along with the senior population. We’ve all heard the baby boomer statistics and how seniors are quickly becoming one of the largest demographic in the country, so we don’t foresee there being a shortage of people who need the services that we offer. Especially since more and more seniors are aging in place and living independently. As this industry continues to expand, LifeStation will remain at the forefront of its growth and evolution.